Chicago cutting 500 teachers due to mounting budget crisis in nation's No. 3 school district. It won't be "back to school" for hundreds of Chicago teachers who are getting layoff notices this week. The Chicago Public School system is laying off nearly 500 teachers and just over 1,000 support staff as it responds to a budget crisis it says is caused by increasing pension costs and declining state aid. 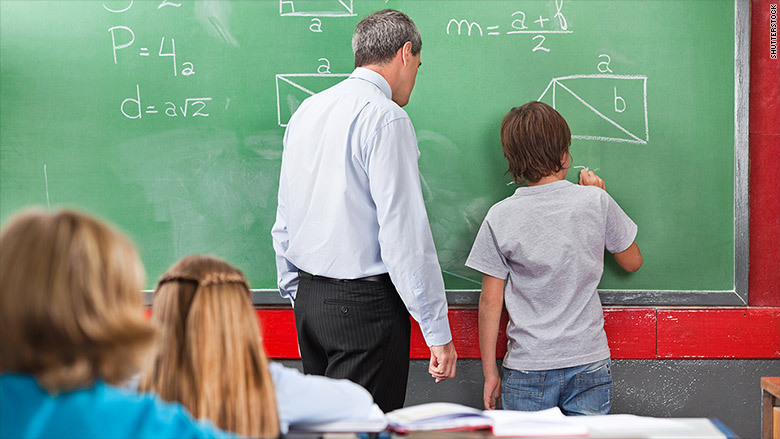 Many of the affected teachers teach at schools with declining enrollments. That's why about 60% of the teachers who are being laid off are expected to be rehired before the start of the school year, since the district has fill 1,450 teacher openings at other schools. The budget unveiled by the district on Monday has $1.1 billion deficit. The layoff notices going out this week will close about $200 million of that gap. Other budget moves will save $255 million today -- but they'll cause more cuts down the road. But the city says it needs $500 million more from the state or else it will have to turn to "a mix of additional cuts or more unsustainable borrowing,"
The budget problems are nothing new for Chicago, the nation's third largest school district with about 400,000 students and more than 20,000 teachers. Fitch downgraded its debt deeper into junk bond territory on July 27. The credit rating agency said that limited progress in closing budget gaps would probably deplete its financial reserves by the end of the current school year. Chicago teachers there went on strike at the start of the school year three years ago. The district says this is the smallest number of layoffs it has announced in the last five years.